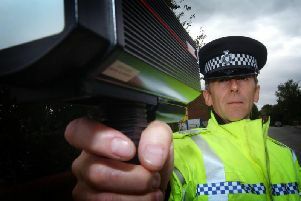 A campaign to crackdown on the number of uninsured drivers on the region’s roads is being backed by West Yorkshire Police. Operation Drive aims to drive down the number of uninsured drivers as the problem continues to be a priority concern. In the first nine months of 2016, West Yorkshire Police Officers have seized 5361 vehicles for driving without any insurance. Sgt Gary Roper of the Roads Policing Support Unit said; “We are aware that drivers using the roads without insurance is something that most law-abiding drivers want agencies to take action against. West Yorkshire Police have dedicated officers across the force dealing with incidents on roads. “On average, we seize 20-25 cars a day across the county for having no insurance, and teams across the organisation regularly work closely with partners to tackle this issue, including days of action and proactive operations such as those ongoing in Bradford and Calderdale. “We would encourage all drivers to stay insured and to drive safely. Anyone who has any information about vehicles that may be driving without insurance should contact their local police teams by calling 101.